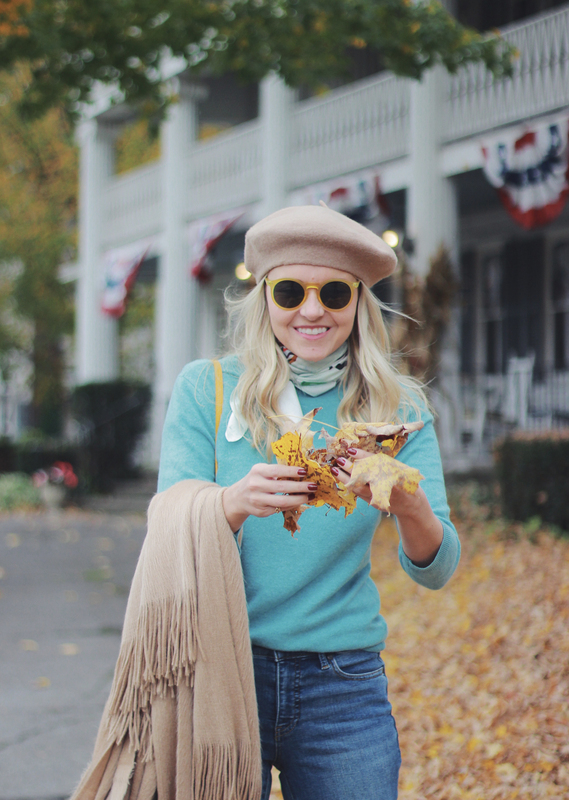 Upstate New York was like a technicolor dream when we were there earlier this month and so I kept my outfits fairly simple and let the leaves shine instead. 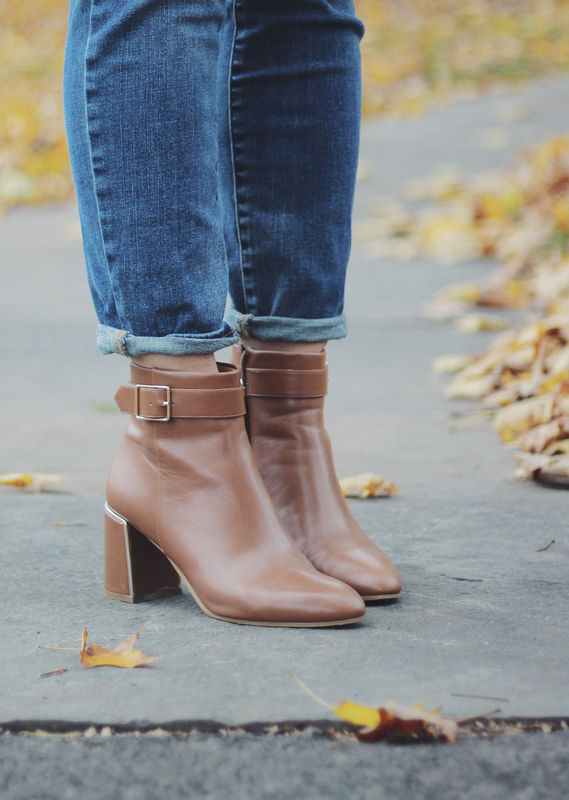 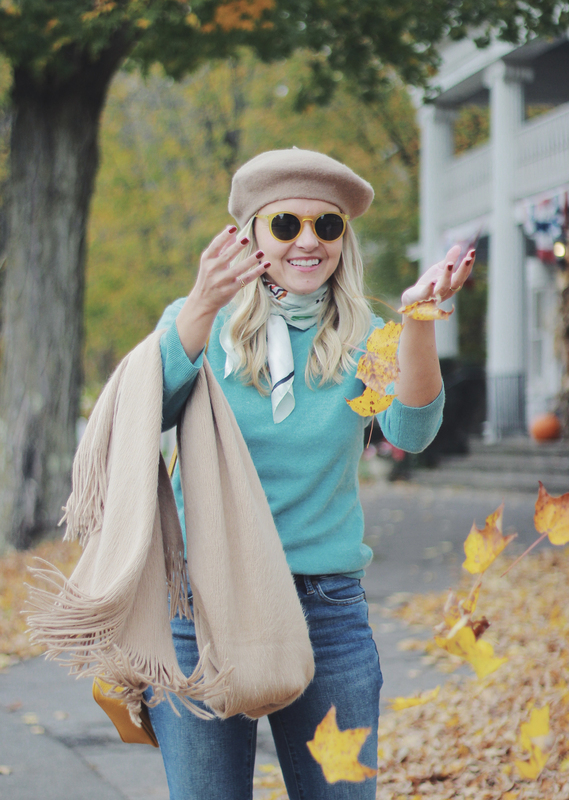 You don’t need much more than a great cashmere sweater and jeans plus a few fun accessories anyway to make up a good Fall outfit in my opinion. So don’t overthink it. Also, you big smile can’t hurt. 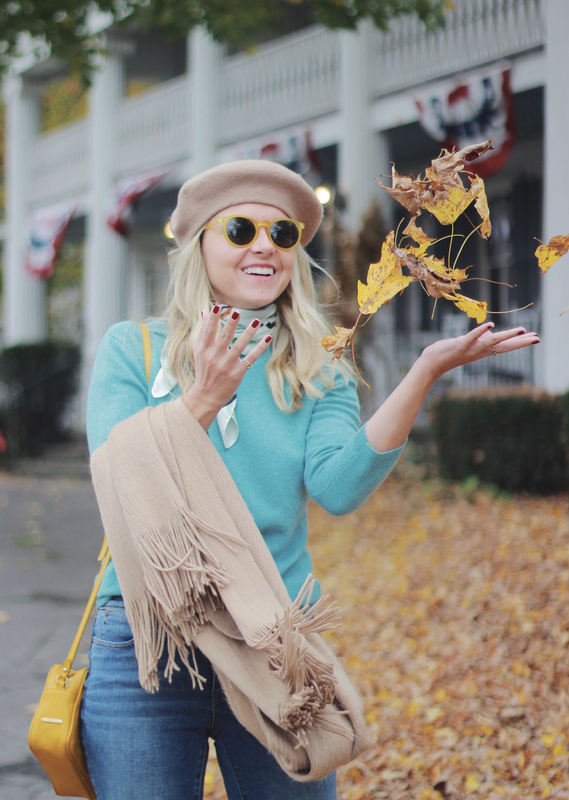 I realized I don’t smile very big that often in blog photos (because it’s still fairly awkward to be posing for these shots), but if you caught me in real life and I was walking through a Fall dream of a day like this one – you can bet I’d have a grin on my face like the one Adam managed to capture here.